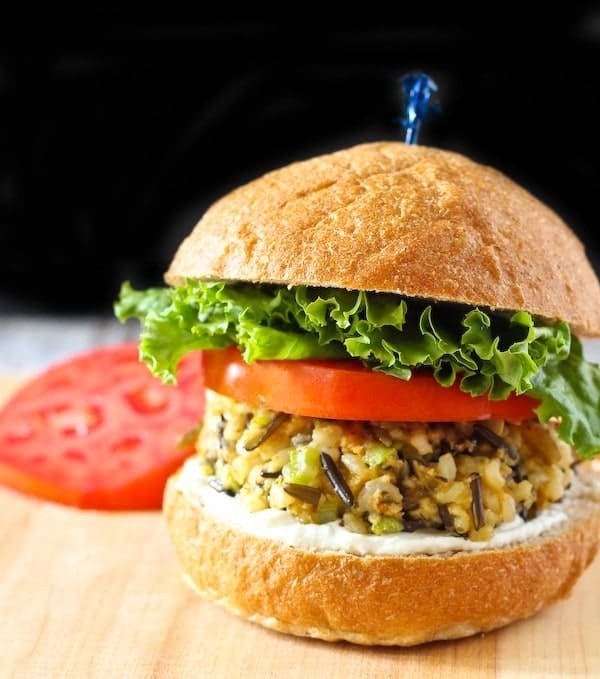 These wild rice patties are flavorful, filling and such a fun vegetarian meal! 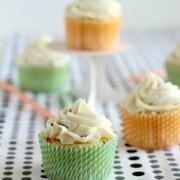 Get the kids involved in making them! It’s a nightmare when it comes to my type-A personality, but they have so much fun. The look of excitement on their faces makes every little mess more than worth it. I live in the Detroit, Michigan area with my family of four. 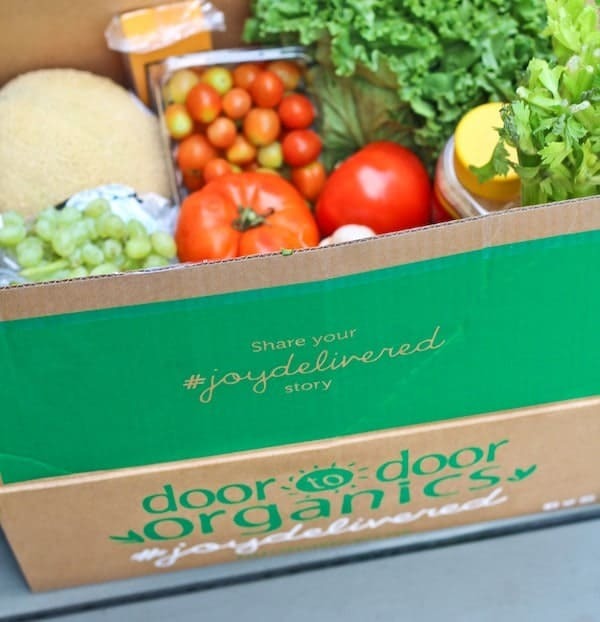 I love Door to Door Organics! You might recognize their name from my Sharing by the Shore food blogging retreat post, from their sponsorship of Mac & Cheese Mania, or from when I introduced you to them back in the beginning of January 2014. Keep those two things in mind as you read on! 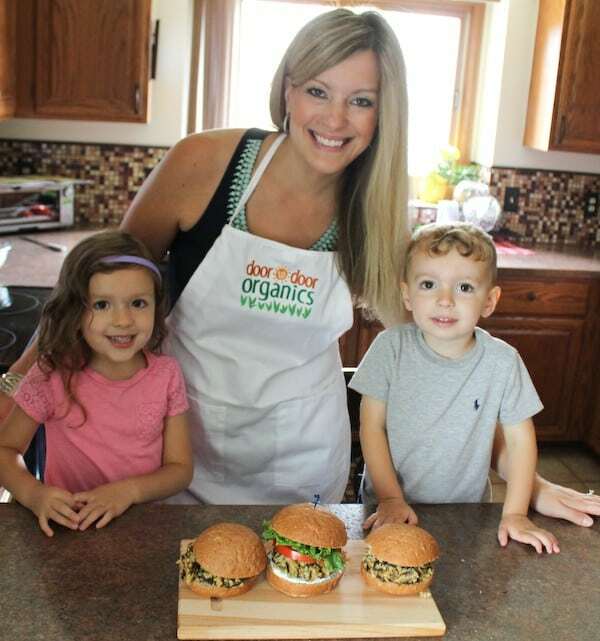 Door to Door Organics has partnered with the Detroit Zoo to create a Rezoopies® e-cookbook. Get it? ReZOOpies….recipes! The full name of the ebook is Rezoopies – Eat Like an Animal. 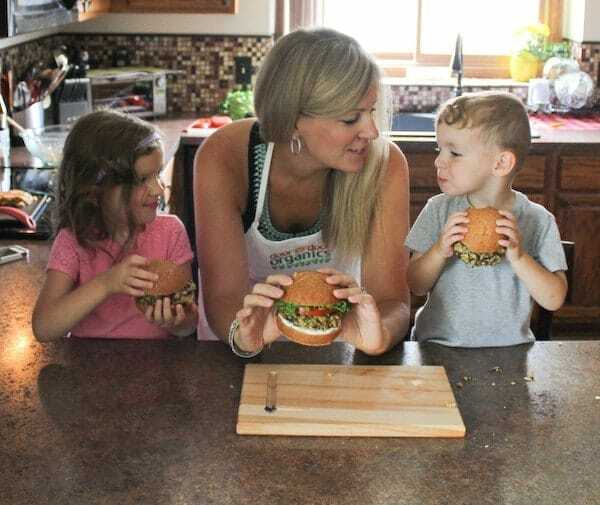 You can download Rezoopies – Eat Like an Animal the ebook for free here: https://blog.doortodoororganics.com/michigan/rezoopie-cookbook-inspire-kids-eat-healthy-like-animals-detroit-zoo/. The goal of this cookbook is to get you and your kids inspired to get in the kitchen and create some healthy eats while learning about fun zoo animals. I had originally planned to take the kids to the zoo last Thursday and then make some recipes from the book on Friday, but unfortunately, E’s stomach virus had different plans for us. Luckily for us, we’re members and the kids are very familiar with everything the zoo has to offer – this is a picture from one of our recent trips. 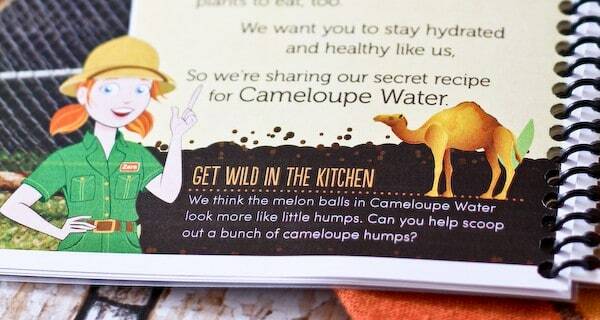 It was fun looking through the Rezoopies e-book and talking about all the animals. Each recipe in the book is paired with an animal, fun facts about the animal, and even a fun activity to do when you’re done cooking the recipe. 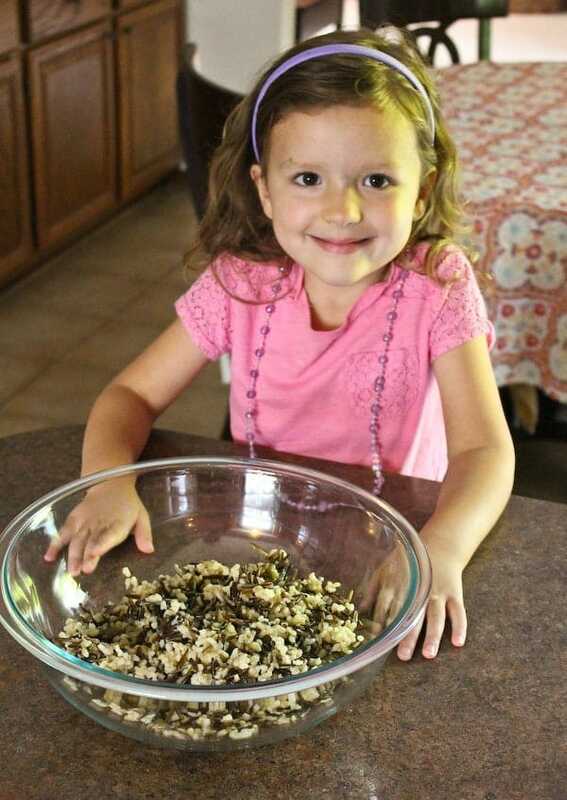 We chose to make the wild rice patties and everyone loved them! 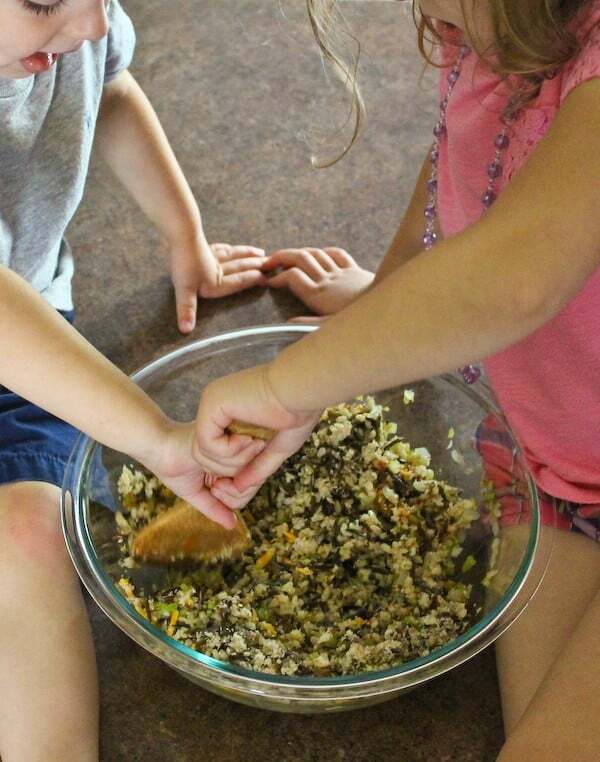 I got the kids involved by adding the ingredients to the bowl and mixing the ingredients together. But before we could get the ingredients mixed, we had to purchase them! Door to Door Organics makes it SO easy. You can search for recipes on their site, and each recipe has a list of ingredients (obviously). But the great part is that you can click on the ingredients to quickly add them to your order…which gets delivered STRAIGHT TO YOUR DOOR. It’s basically the best thing ever. I love living in the 21st century. It’s always so much fun to open a box…. …and see all the delicious food that awaits you! Small side note: The food comes cushioned, on ice as needed, and very well protected. I arranged it for the picture – it wasn’t delivered this way. Another small side note: Door to Door Organics has chocolate. My recommendation is that you always add chocolate to your order. Ummm…chocolate, delivered TO YOUR DOOR. Just do it. Don’t be a dunce. Back to the recipe! I ordered all the ingredients for these rice patties except for pantry staples that I already had on hand like spices and olive oil – but those are also available, so if I was running low I’d be 100% covered. They also have snacks, dairy, bread, and pretty much anything you could ever want. It’s great to stock up mid-week so that you can avoid a grocery store trip. Or you could never go to the grocery store at all and just have everything delivered right to you! They have prepared foods like quinoa salad and cauliflower mac and cheese (I’ll definitely be taking advantage of those come back-to-school time! ), meat for grilling, and even pies and bread from Zingerman’s (which is a little dangerous for me — SUCH good stuff!). 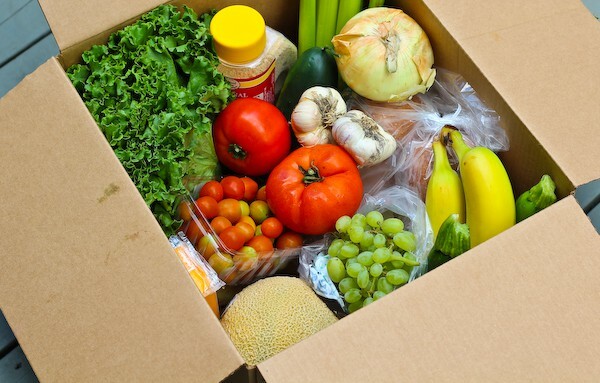 Oh and during the summer you can get a box comprised entirely of local produce! 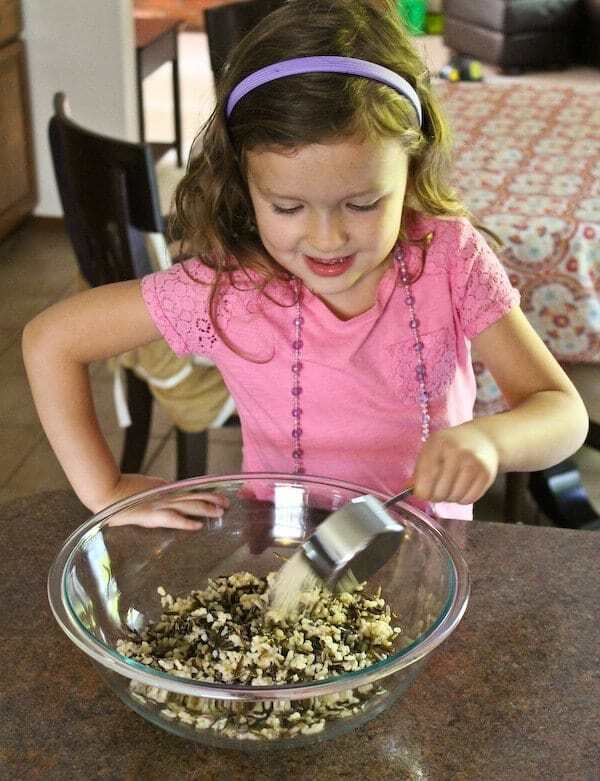 Back to cooking….E is adding panko bread crumbs to the mixture of brown and wild rice. Combined with a couple beaten eggs, they’re a great binder for these patties. 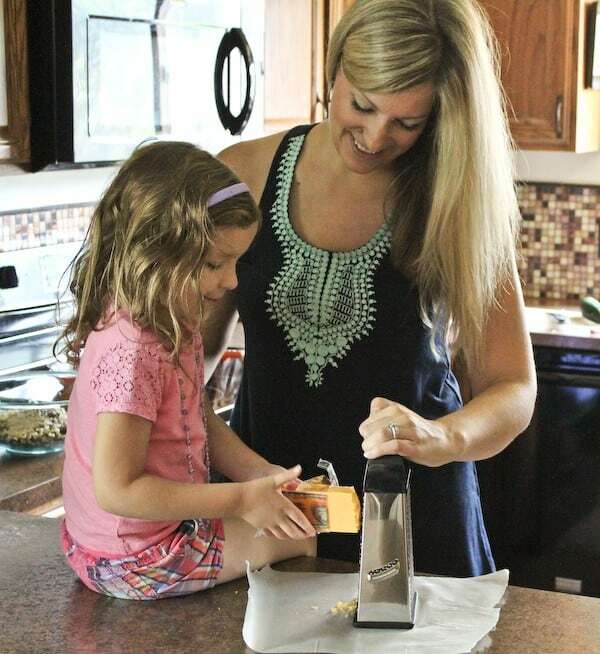 She got a little help from me grating the cheese. I’m not a helicopter mom, but those graters are sharp. I’d be embarrassed to admit how many times I’ve grated my finger. Safety first! I formed the rice mixture into patties and fried them up in about 5 minutes. 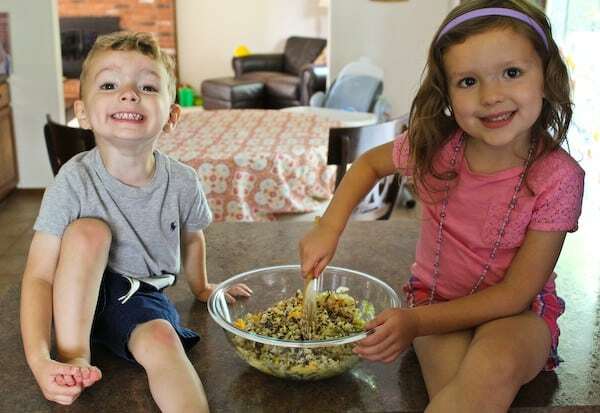 I cooked the rice the day before to cut down on prep time and the recipe came together super quickly — even with toddler helpers! We all enjoyed these for lunch. Ready to dig in? We are! I’d highly recommend getting your kids involved in the kitchen. They’re so much more likely to try the food when they are involved in the process. And of course, when we were done eating our wild rice patties, we all made sure to stand up tall and stretch our necks out like a giraffe just like the book instructed us to. If you’re paying attention to details, you’ll notice we don’t have sprouts on our patties. Sprouts were unavailable this week so we substituted with some nice green leaf lettuce which was absolutely perfect. Cook rice according to package instructions. Allow rice to cool completely before proceeding to next step. Heat 1 tablespoon of olive oil in a skillet over medium-low heat. Sauté onions, celery, and garlic until translucent. In a large bowl, combine rice with onion mixture, breadcrumbs, cheddar cheese, salt, oregano, thyme, paprika, cayenne pepper, and black pepper. Cool completely. Add eggs, stirring to combine. Divide into 4 balls and shape into 1/2-inch thick patties. Heat remaining tablespoon of olive oil skillet over medium heat. Fry patties 2-3 minutes on each side or until crisp and golden. 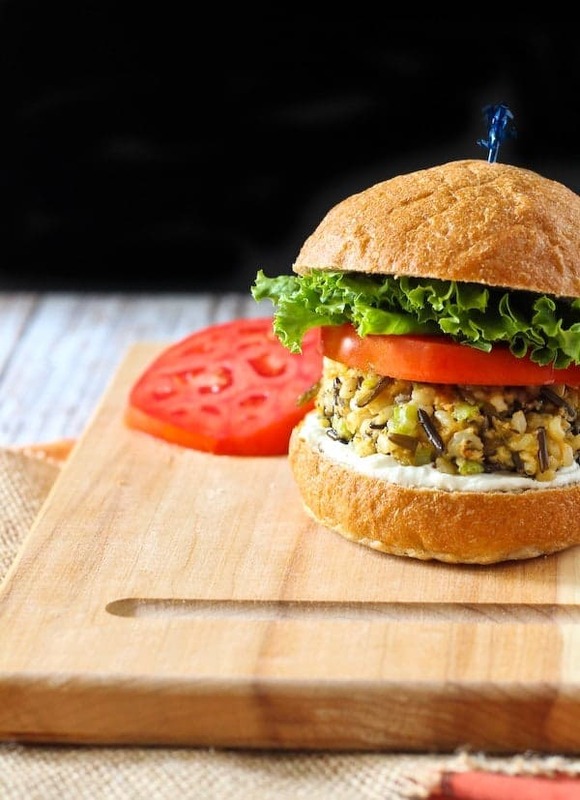 Coat hamburger buns with Greek yogurt and serve with sprouts and tomatoes. Verdict: We were all happy giraffes! Husband’s take: He loved these! Really loved these! He even fried up the scraps in the bowl for another small patty. Difficulty: Easy to moderate. The patties are a bit fragile. I recommend really squeezing them to get them to hold together and then use a very gentle touch with flipping them over in the frying pan. A couple of my blogging (and real-life!) 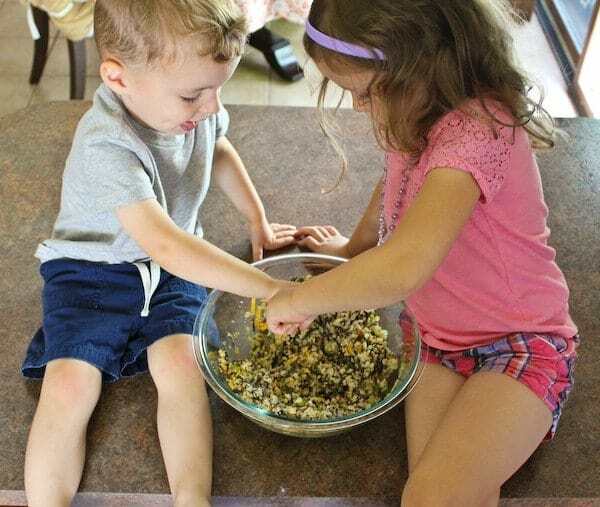 buddies made more recipes from the Rezoopies book – check out Katie’s animal themed recipes on Mom to Mom Nutrition and Kristy’s kid-friendly healthy recipes on Chocolate Slopes! *Disclosure: I’ve partnered with Door to Door Organics to bring you this post. They compensated me for my time but all opinions are, as always, my own. I’ve paid for Door to Door Organics deliveries with my own money more times than I can count. Thanks for supporting Rachel Cooks by reading about brands I use and love! 1) UM THIS IS ADORABLE. 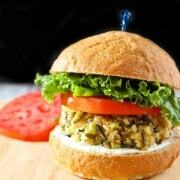 2) Wild rice patties, yummm! 3) Chocolate delivered to your doorstep? I’m sold. So, I love these. 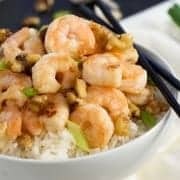 I’m a meat eater, but was a fishetarian for many years, and there are many meatless meals that remain my favorite today. I would maybe even just eat this filling on its own, instead of shaping it into patties! Also? That last picture of you with the kiddos. OMG. CUTE. 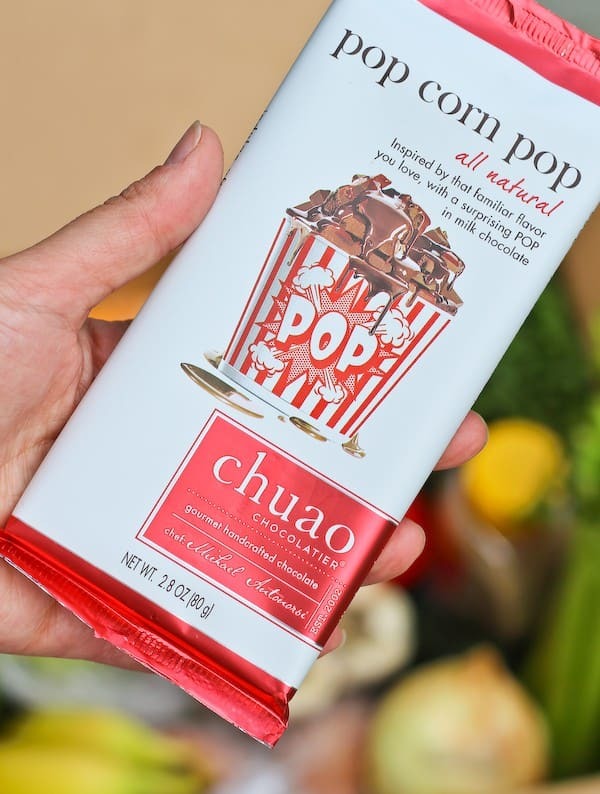 1. that chocolate looks amazing… because popcorn is everything. 2. I love wild rice and I’m so happy you used it in these patties! It was a staple for me growing up! 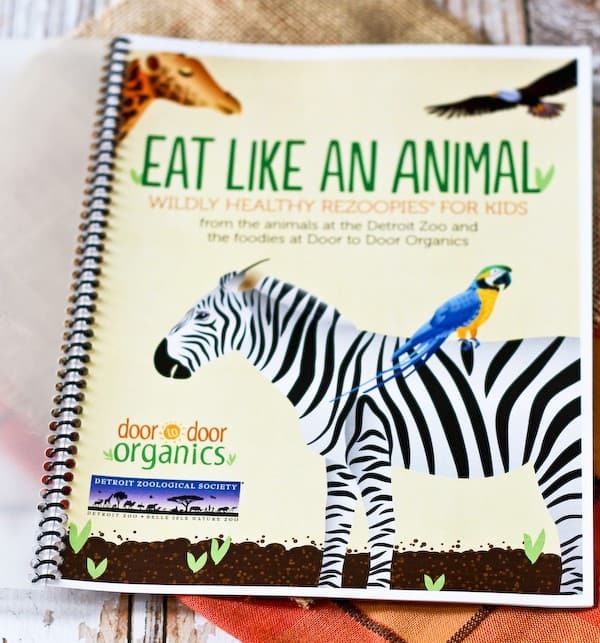 What a fun collaboration between Door to Door Organics and the Detroit Zoo! 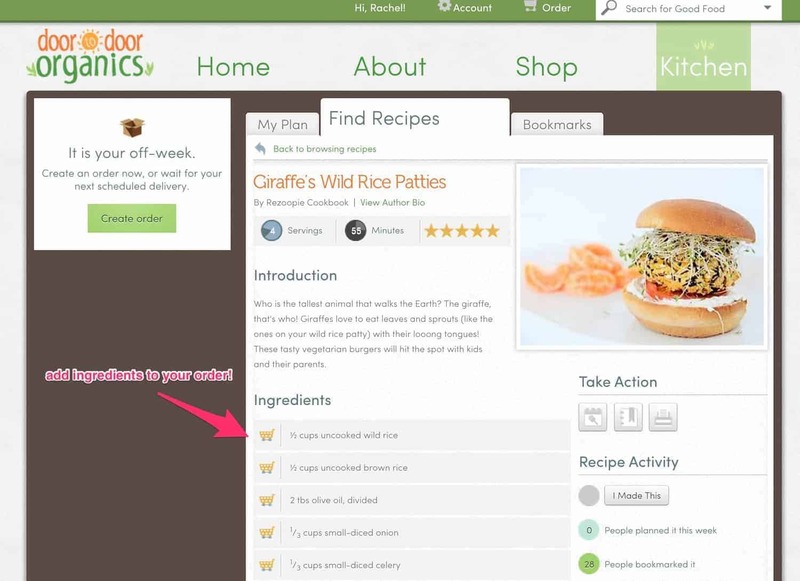 I also love the easy recipe-based ordering feature. How much easier can it get! How long does shipment usually take? 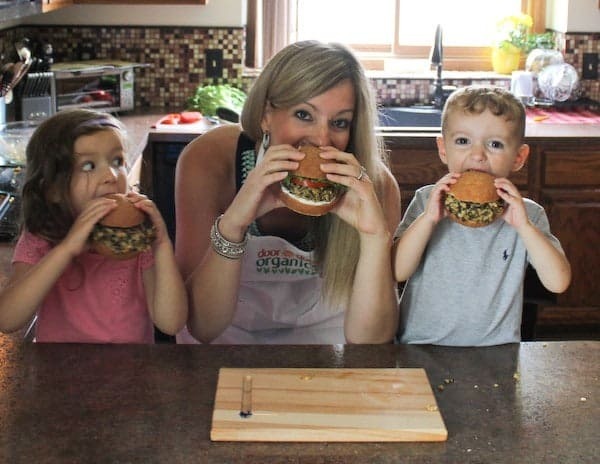 Rachel, your kids are adorable, and omg so cute all of you cooking together, can’t wait to cook with my son, he is 2 now! Those patties look delish by the way! You guys could not be more adorable! 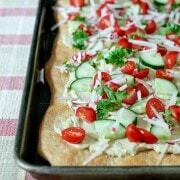 Loving this recipe too! 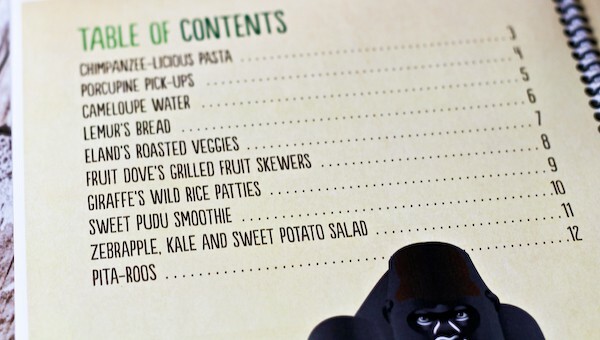 BUT, these patties definitely make me want to get my dinner on. I’ve never thought to use rice to make patties, but it’s genius! Pinned!